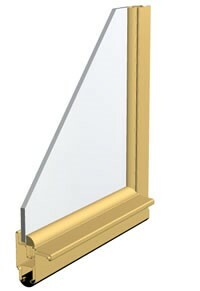 The Magnetic Series offer several benefits over old storm windows. • 7 Standard paint finishes (white, black, beige, bronze, hunter green, barn red, cream) Mill finish also available. • Removes quickly and easily for cleaning and/or interchanging screen panels (optional). refrigerator door giving you a good tight seal. Designed primarily for oversized double hung windows making panels easier to manage. One magnetic panel stacked on top of another with a fixed center meeting rail aligned with prime window.